Does Hair Grow Faster After The Big Chop? For any curly girl embracing her natural hair, it is a journey. Some curlies choose the big chop method to jumpstart their hair journey. While the big chop can be intimidating for a lot of women who have never had short hair, it is also an easy way to take that first step and embrace the commitment of natural hair. This is a big step and lots of questions come up. Is it better to big chop or transition? Does hair grow faster after the big chop? Here are the answers to these two big questions that come up all the time. Is It Better To Big Chop Or Transition? There has been a lot of debate on this one, but it is really up to you. The big chop is more drastic than transitioning which can be either a good or bad thing, depending on how you see things. For example, the transitioning allows you to keep your length longer, but takes a long time to fully recover your healthy new hair. 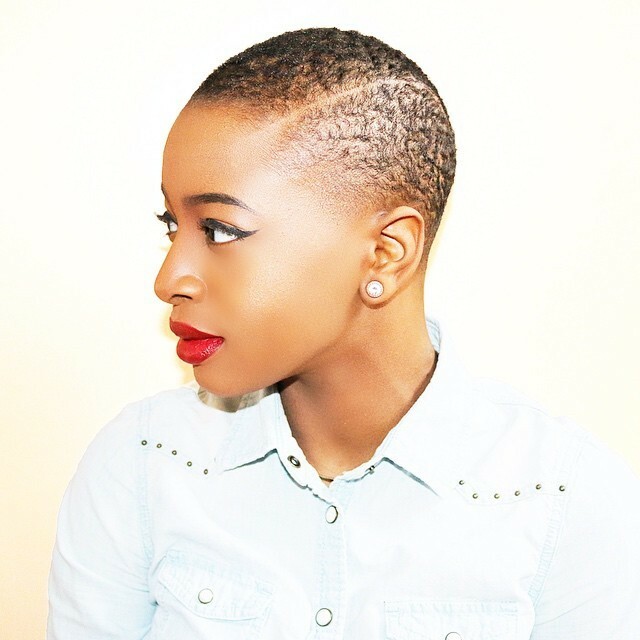 The big chop means your hair will become fully natural sooner, but requires being comfortable with short hair. It is really a matter of preference. This question comes up a lot because there is a lot of confusion. Many people claim that hair grows faster when you big chop versus transition. Others say it doesn’t make any difference. While there is still some debate about it, hair that is freshly cut does not necessarily grow faster. Growth is born at the scalp level with the follicles. When you cut your hair, you cut the bottom of the strand, therefore, the two are not related. There are a few reasons why people might think hair grows faster after the big chop. Here are a few of the reasons. Hair is healthier. When your hair is healthy, it is more likely to grow. Split ends make hair look shorter. However, hair that is freshly trimmed looks healthier and longer. When you big chop, you get rid of all the unhealthy hair, including those pesky split ends, and this in turn makes it seem like your hair is growing faster than it actually might be. Hair relaxes. When you first cut your hair, it may curl up and then relax back down after a few days. Many people confuse this relaxing of the hair as new growth. At the end of the day, you have to go with the method you’re most comfortable with when embracing your natural hair. Whether you big chop or transition, the process takes time and seeing new growth can take even longer. Stay patient and persistent with your curls and you will eventually see results!